1. Lifetime gifts. One of the simplest wealth transfer methods also can be one of the most effective. By giving away property to other family members during your lifetime, you remove those assets from your taxable estate. If you plan carefully, you can make direct gifts without incurring any gift tax liability. And you also may be able to leave assets to your heirs under favorable tax conditions. An annual gift tax exclusion covering transfers of up to $14,000 per year per recipient ($28,000 for gifts by a married couple). You can make these gifts to as many people as you like. In addition, everyone is entitled to transfer a total of $5.49 million in 2017 (the amount is indexed to inflation) in lifetime gifts and bequests without tax consequences. 2. Intra-family loans. Usually, you can lend up to $10,000 to a child or another relative with no strings attached—and no questions asked by the IRS. You don't even have to charge interest. However, if the borrowed amount exceeds $10,000 and you don't charge a reasonable interest rate, the IRS will consider the amount you didn't charge as interest income to you. One exception is that on loans of $100,000 or less, the amount of interest you're treated as receiving annually for tax purposes is limited to the child's net investment income for the year. 3. Dynasty trusts. This type of trust is designed to span several generations. You transfer selected assets—say, a combination of stocks, bonds, and real estate—to a trust managed by an independent trustee, usually a professional or financial entity. The trust may be created during your lifetime or through your will. Once the trust is established, it is irrevocable, so you give up control over the assets and the right to change beneficiaries. Depending on the terms, income may continue to accumulate within the trust or be paid out to beneficiaries. The trustee also may have discretion to use part of the principal for the health, education, support, and maintenance of the beneficiaries, or under other circumstances. 4. GRATs. With a grantor-retained annuity trust (GRAT), you transfer assets into the trust while retaining the right to receive annual annuity payments for a specified number of years. When the GRAT term ends, the remaining assets are distributed to the beneficiaries you named. The annuity payments you receive during the term of the GRAT and resulting gift tax value is calculated using a government rate for this purpose, which is currently relatively low. So while you continue to receive annuity payments based on that low rate during the GRAT term, if trust assets grow at a faster rate, the beneficiaries will benefit when they receive the balance remaining at the end of the trust term. 5. IDGTs. Often you might transfer assets to a trust and name loved ones as "income beneficiaries" who get the investment income the trust generates. That way, you'll avoid income tax on those future earnings. However, the trust will be taxed on that income, and the top 39.6% rate for trusts kicks in when income exceeds $12,500 in 2017. 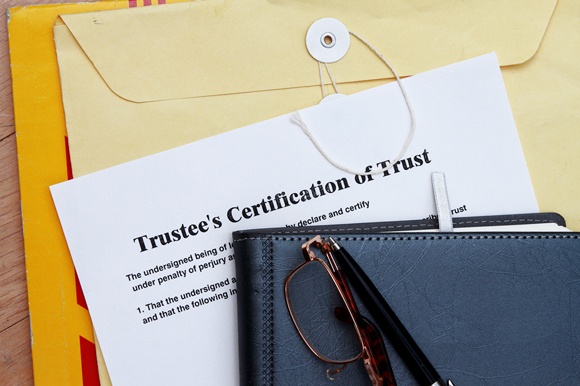 To avoid that result, the trust could be structured to be intentionally "defective," so that income is taxable to you instead of to the intentionally defective grantor trust (IDGT). 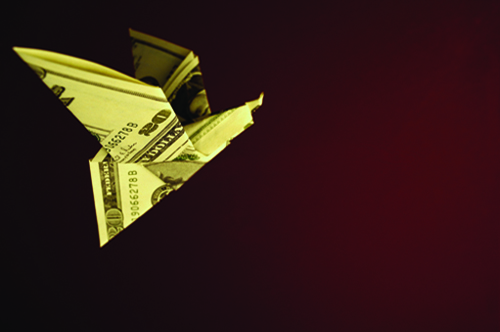 The gift tax liability for transferring assets into the trust may be sheltered by the estate and gift tax exemption. Other concepts, such as naming a trust as an IRA beneficiary, also can be helpful in certain situations. But the five listed here may help you achieve your goals. Keep in mind, though, that trusts are complex, and you'll need professional assistance in structuring and implementing these estate planning ideas. This article was written by a professional financial journalist for new michael mcdonald and is not intended as legal or investment advice.